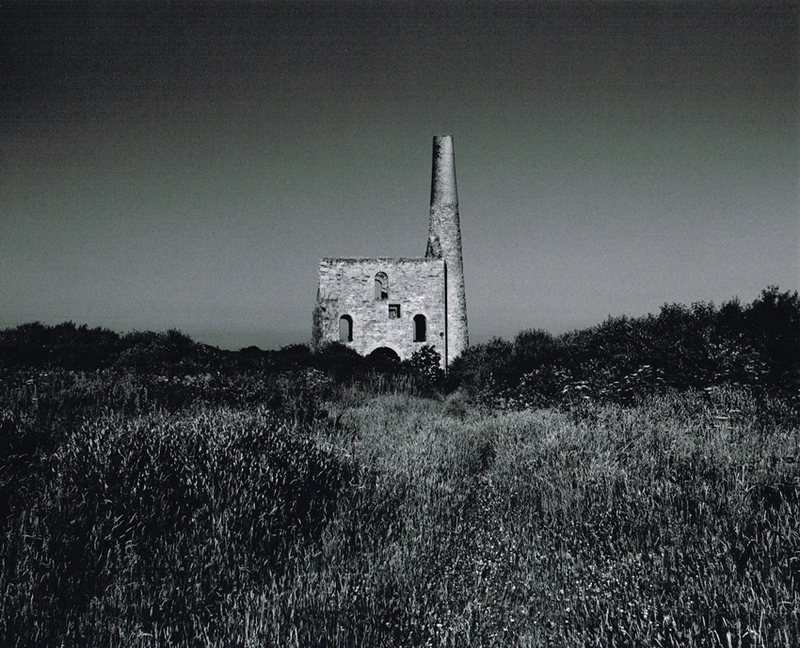 The Perranzabuloe Mining District, this area of Cornwall is best known for its Lead and Iron Mines. 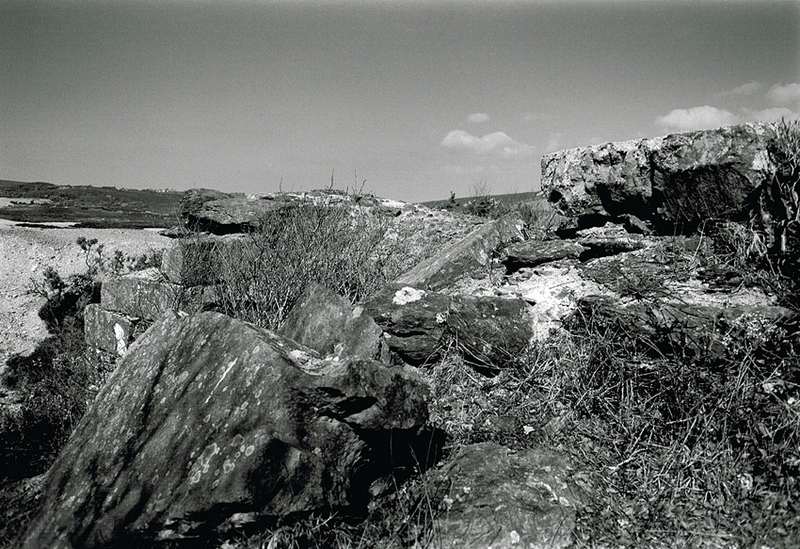 On Newlyn Downs bordered on one side by the Carland Cross Wind Farm are the scant remains of Cargoll Mine. Sadly no buildings survive apart from the base of an Engine House. Whilst the whole area is covered by mining waste on which very little seems to grow. From 1845 to 1884 the output is recorded to have been: 9,800 tons of Lead, 177,400 oz of Silver along with quantities of Copper and Pyrites. 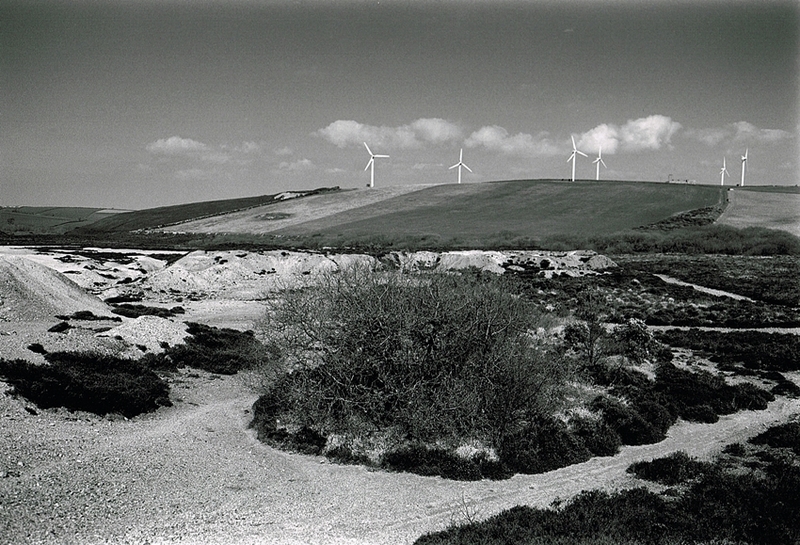 Perranzabuloe Mining District 1: Looking across the burrows of Cargoll Mine towards Carland Cross wind farm. Perranzabuloe Mining District 2: The remaining foundations of an Engine House. 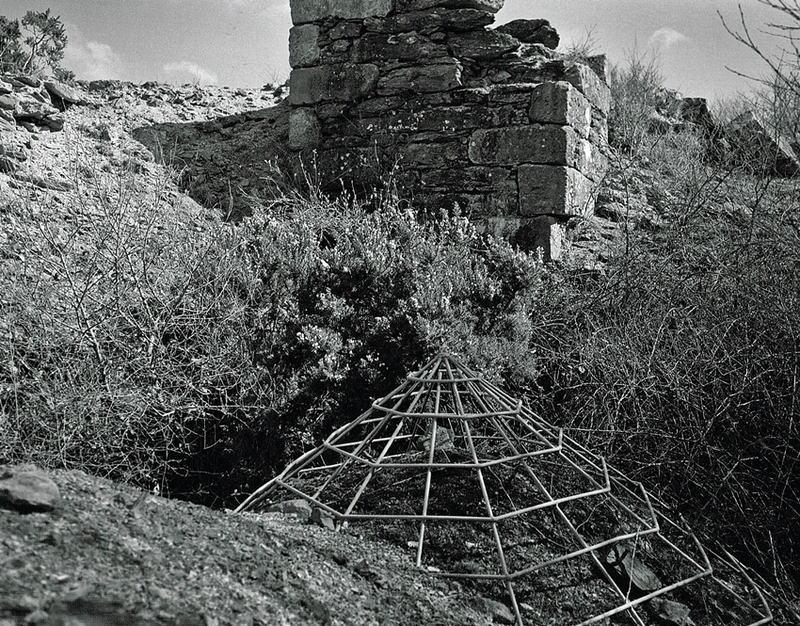 Perranzabuloe Mining District 3: Another image of the Engine House foundations, this was Daubuz’s Shaft. The engine here was a 70″ Pumping Engine from the Copperhouse Foundry it worked from 1855 until the mine finally closed in 1877. One of the best survivals in the Perranzabuloe Mining District is West Chiverton Mine. This was the most successful of the Chiverton Group of Mines. During the period from 1859-1886 production totalled 45,100 tons Lead, 22,000 tons Zinc, and 1,221,200 Ounces of Silver. The impressive Engine House on Batter’s Shaft is unusual in having the cylinder doorway in the side wall. Consequently the stack was centralised in the back wall of the house. Perranzabuloe Mining District 4: Batter’s Shaft Engine House of West Chiverton Mine. This contained an 80″ Pumping Engine. Also one of the nicest Engine Houses in the District. 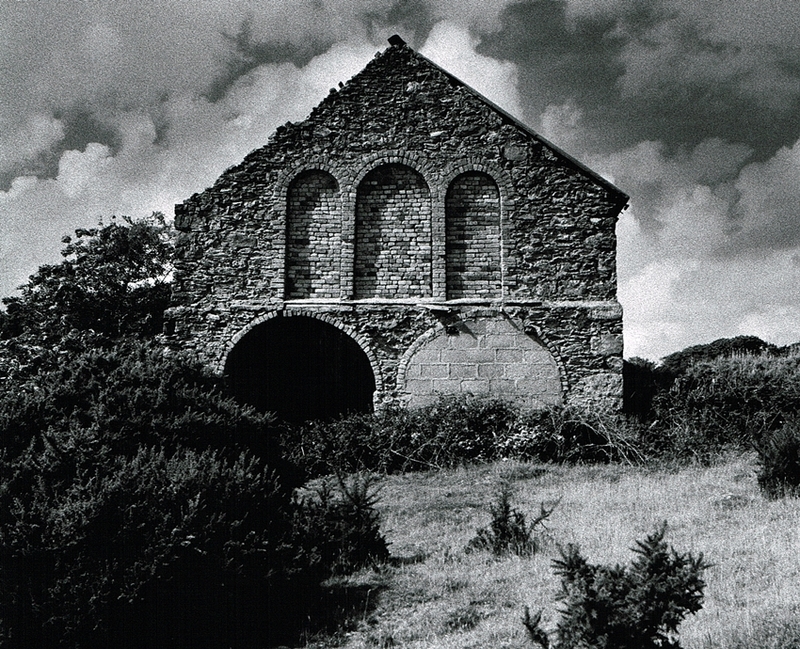 Perranzabuloe Mining District 5: The remains of the Boiler House that served the Stamps Engine at West Chiverton Mine. 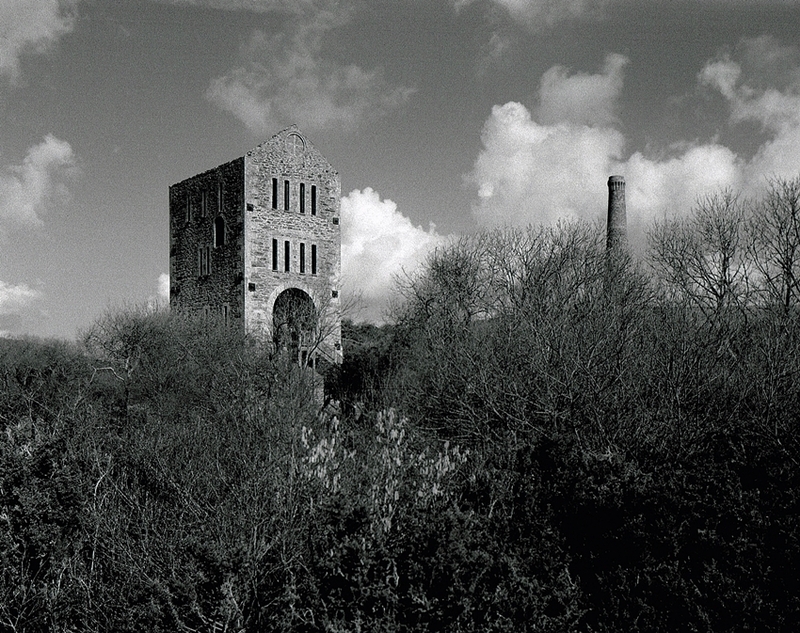 East Wheal Rose worked from 1834-1855, during this period the mine produced 48,200 tons of Lead, 212,700 Ounces of Silver, 280 tons of Zinc and 160 tons of Copper. During its years of operation the mine was the biggest Lead Silver producer in the UK. 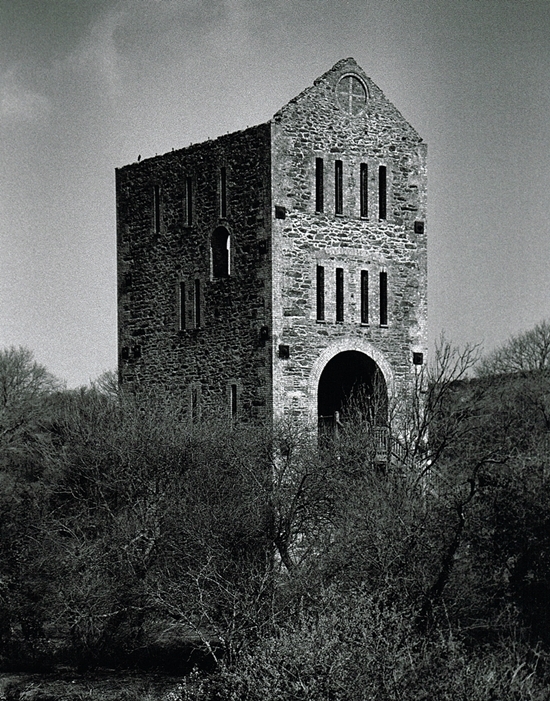 Perranzabuloe Mining District 6: This is the massive East Wheal Rose Engine House built in 1882 for a 100″ Pumping Engine, the largest in Cornwall. 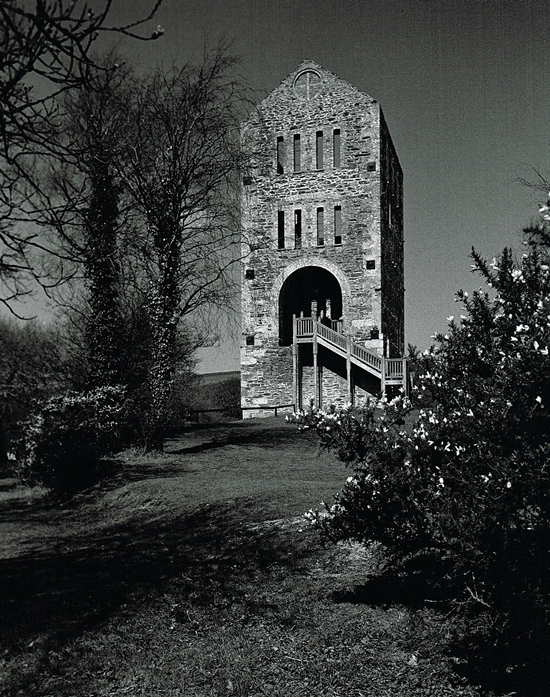 The impressive remains of the Engine House on the site contained a 100″ pumping engine, hence the largest to be erected in Cornwall. Also, the mine was the site of Cornwall’s worst ever mining disaster in 1846. Subsequently 39 miners drowned when a freak rainstorm overwhelmed the engines and flooded the mine. Perranzabuloe Mining District 7: The stack here is 100ft tall and is quite some distance from the Engine House. 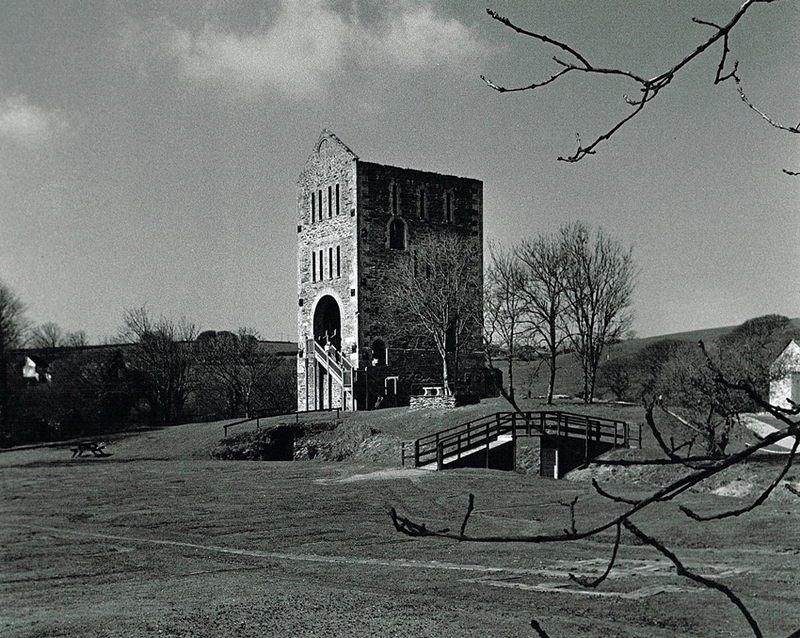 There was an attempted re-working in 1882, for four years the pumping engines on the mine drained the waters. The output was virtually nothing and a huge amount of money was wasted. Today the engine house is the centre piece of the Lappa Valley Railway. Perranzabuloe Mining District 8: The shaft here is named Phillpott’s it’s 170 fathoms deep. Today it is filled with water to the surface. Perranzabuloe Mining District 9: A final image of the Engine House showing the distinctive “slit” windows. 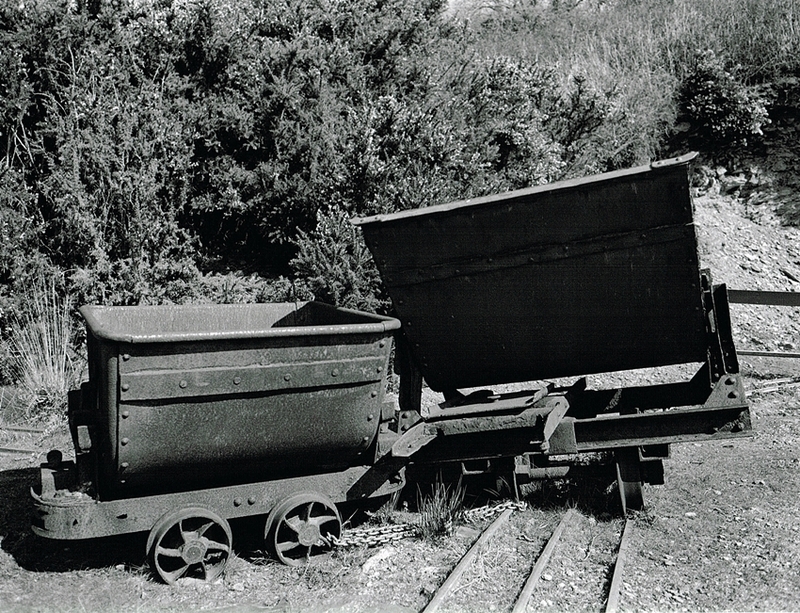 Perranzabuloe Mining District 10: Finally, on this page is a pair of preserved wagons at East Wheal Rose.